Tell Lansing Lawmakers to Stop Attacking our Water in Lame Duck Session! The Michigan lame duck legislature is racing to pass attacks on our water before the new legislature and Governor are seated in January. We need all Michigan clean water activists to help fight back by making two quick phone calls, one to your State House Representative and one to your State Senator, asking them to oppose the multiple anti-environment and anti-democratic initiatives that corporate lobbyists have pushed lawmakers to pursue during this backward and unaccountable session. You can find your state representative here, and your state senator here, along with their office phone numbers. Hi Representative/Senator ______________. My name is _________ and I’m one of your constituents. I was calling today to urge you to oppose all of these ridiculous anti-environment and anti-democratic bills that are now being pushed in the lame duck session. The legislature should adjourn early and go spend time with your families instead of rushing through legislation that imperils our environment and opposes the will of Michigan voters. Thank you. Lansing lawmakers are at it again. In the past several years, term-limited lawmakers have cynically used the lame duck session to push for some of their most egregious policies. From reinstating the emergency manager law in 2012 which led to the Flint water crisis, to the multiple attacks on our Great Lakes and environment being proposed this year, lame duck has been a time where unaccountable elected officials work with corporate lobbyists to tear apart issues that you and I care about. SB 1197: This would essentially create a new governmental authority to act as a shell corporation for Enbridge Energy to build an oil tunnel through the Straits of Mackinac. 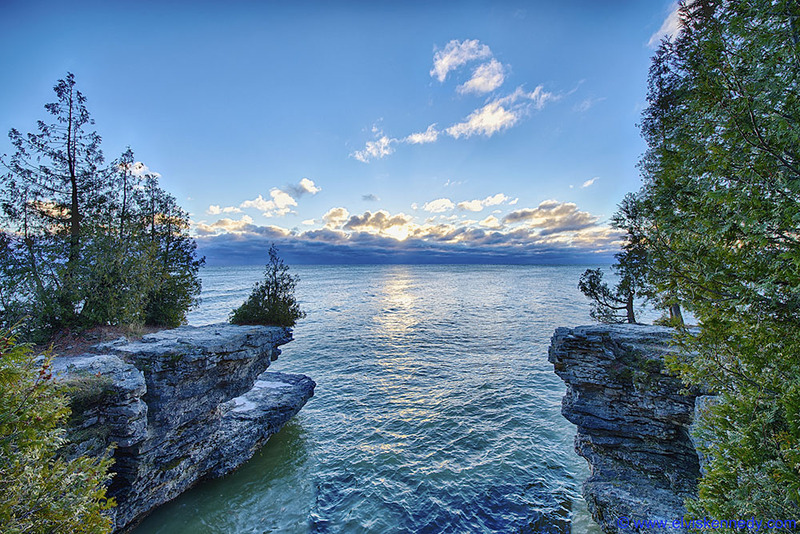 If Enbridge, a multinational corporation, wants an oil tunnel in the Mackinac Straits that primarily benefits its shareholders, it should propose doing it under current state laws and without public subsidies, governmental partnerships or special treatment. Our lawmakers should not be bending over backward to rush through creation of a new state authority that only benefits Enbridge during this unaccountable lame duck period. HB 5752 and HB 5753: These bills would create a statewide septic code that would be more accurately described as an anti-septic code. These would prevent any municipalities from having stricter septic regulations than the state code, and the state code would not require septic inspections unless someone complains about a broken system. This is really the equivalent of never inspecting bridges until after they collapse: short-sighted and dangerous. SB 1211: About 500,000 acres of wetlands in Michigan would no longer be protected under state law if this bill passes. This would remove protections for over 70,000 wetlands, allowing then to be filled, dredged, or constructed on without a permit. HB 6532-6536: This four bill package would repeal the Michigan Bottle Bill and lapse the bottle bill escheat funds that are currently spent on environmental cleanups back into the state general fund. Do you like more roadside litter and less recycling? If so, then these bills are for you. On top of these horrible anti-environment bills, Republican lawmakers have also introduced bills to subvert the power of the Michigan Attorney General, and take away the Secretary of State’s ability to oversee elections. They are clearly not pleased with the overwhelming turnout in November, which elected environmental champions to statewide leadership positions, and are intentionally attempting to subvert the will of the voters by passing these anti-democratic initiatives before the new legislature begins in January. We need you to call your State Senator and State House Representative today and tell them enough already! These lawmakers ought to be home enjoying the holidays with their families instead of tearing apart critical environmental protections for our Great Lakes and public health and subverting the will of the voters.